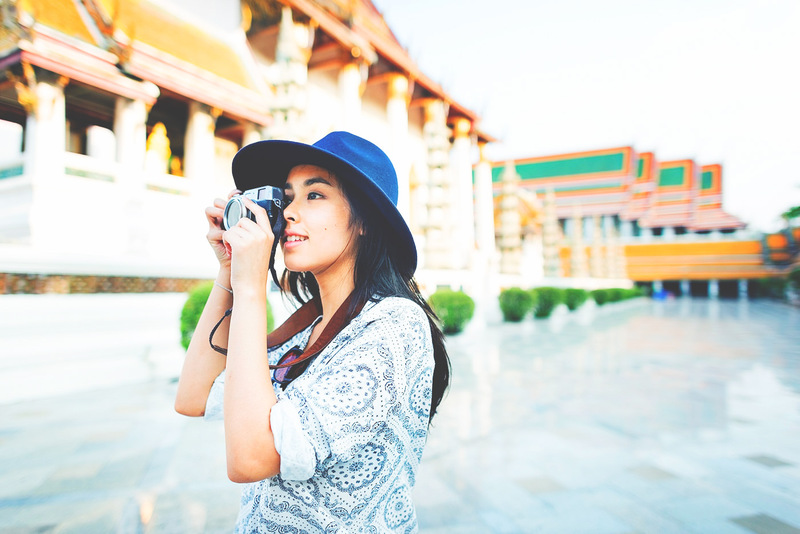 GetGo has recently announced some of the best and most exciting deals to help its members plan their vacation, whether it’s an adventurous weekend or a leisurely staycation. GetGo members can enjoy exclusive offers from partner hotels and travel sites and establishments just by providing their membership numbers during booking. Members may also present any proof of membership indicating their GetGo number and a valid ID upon check in to instantly enjoy exclusive discounts or points. Vivere Hotels is giving GetGo members up to 70% off on bookings until March 11, 2019. If you want a laid-back weekend but do not want to travel too far, then Vivere Azure might just be for you. Set in Anilao, Batangas, Vivere Azure is just a few hours away from Manila via land. Lull your time away by marveling at the stunning view of crystal clear waters and excellent shorelines. While you are here, you can also embark on an underwater adventure in one of the world-class dive sites in Anilao. 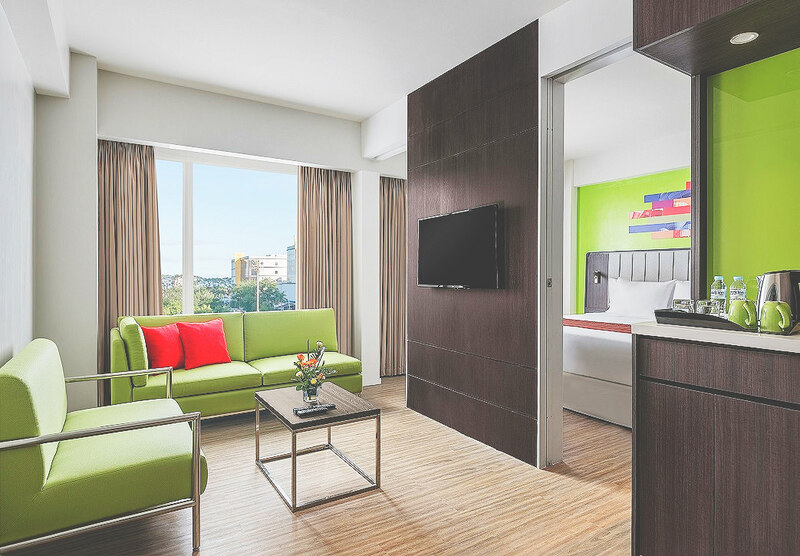 Alternatively, if you feel like Batangas is still a little too far, then you might just want to enjoy the world-class service and premium accommodation at Vivere Hotel in Alabang. The Bellevue Hotels is also giving GetGo members up to 65% discount until November 30, 2018. 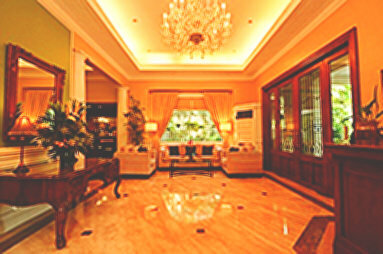 One may choose to book a weekend staycation at The Bellevue Manila in Alabang or a retreat at The Bellevue Resort Bohol. The latter is located in charming Panglao Island in Bohol. Here, one can expect to see the incredible sights that Bohol beaches are famous for. Makati City, while regarded as the country’s premier business district, holds a lot of charm that casual travelers may find appealing. There are open parks, museums, malls, and even old churches. GetGo members who are planning to spend a weekend at Makati City, whether for business or for pleasure, will be happy to know that Best Western Oxford Suites is offering 60% off on room rates until March 12, 2019, and Hotel Celeste is providing up to 45% discount on reservations until March 6, 2019. Mark your calendars for an amazing and relaxing weekend staycation with GetGo’s exclusive hotel offers. Members can enjoy up to 70% off on bookings for a more rewarding experience. Meanwhile, GetGo members who prefer to explore the streets of old Manila may book their accommodation at Orchid Garden Suites in Malate and receive discounts of up to 45% until March 11, 2019. 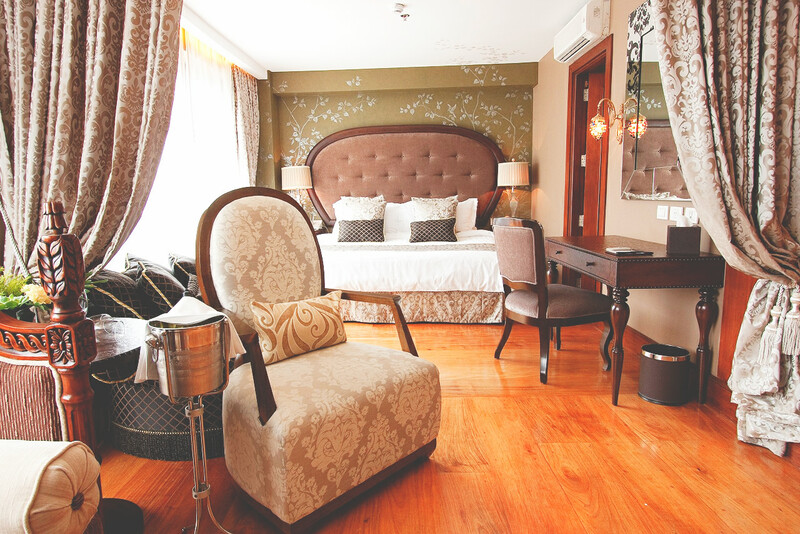 This boutique hotel, located along the streets of Vito Cruz, will amaze guests with its classic charm and welcoming ambiance. Additionally, guests may want to discover the rich history of Orchid Garden Suites while they are checked in at the hotel. Aside from enjoying exclusive rates, GetGo members may also earn points to #FlyForFree via other hotel partners. Go Hotels and Summit Hotels are giving GetGo members 2 points per Php100 spend. Crowne Plaza Manila Galleria and Holiday Inn Manila Galleria are rewarding members with a GetGo point for every qualified stay. Lastly, members who book their stay at Taal Vista Hotel, Pico Sands Hotel, Radisson Blu Cebu, Park Inn by Radisson Clark, and Park Inn by Radisson Davao will receive up to 500 GetGo points. Aside from outright discounts and points from partner hotels, GetGo members may opt to book their accommodation via Agoda and Kaligo where they can earn up to 10,000 points per booking, or use Travelbook.ph and earn a point per Php10 spend. Apart from points, these booking sites offer preferential hotel rates to members so they can get additional savings when they travel. 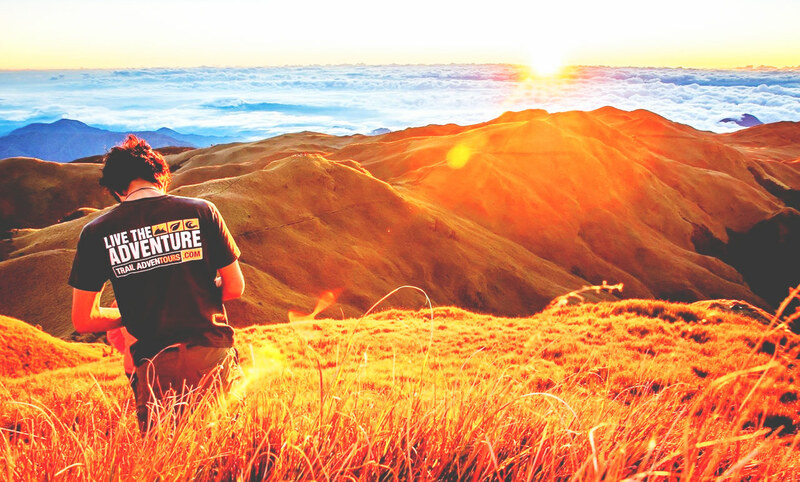 You can also make your itinerary-planning easy with the help of Klook, Trail Adventours, and Experience Philippines and get additional points per Php100 spend. Whenever you travel, never miss the opportunity to update your social media channels. Enjoy internet connectivity using Traveling Connect and enjoy GetGo points. Swipe and fly! 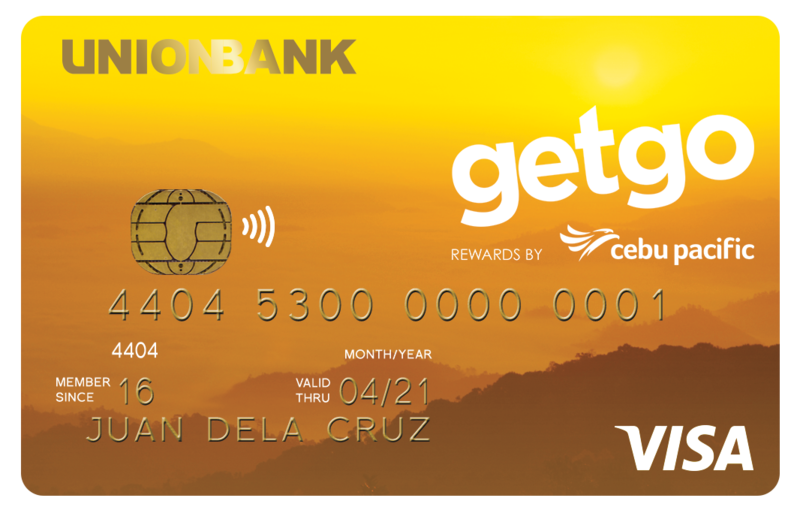 Members can use their Cebu Pacific GetGo Cards by UnionBank to collect more points faster for free flights. 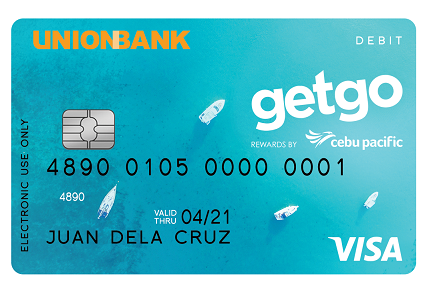 To collect points faster, members can use any of their Cebu Pacific GetGo Cards by UnionBank to turn their everyday spending into exciting free Cebu Pacific flights! 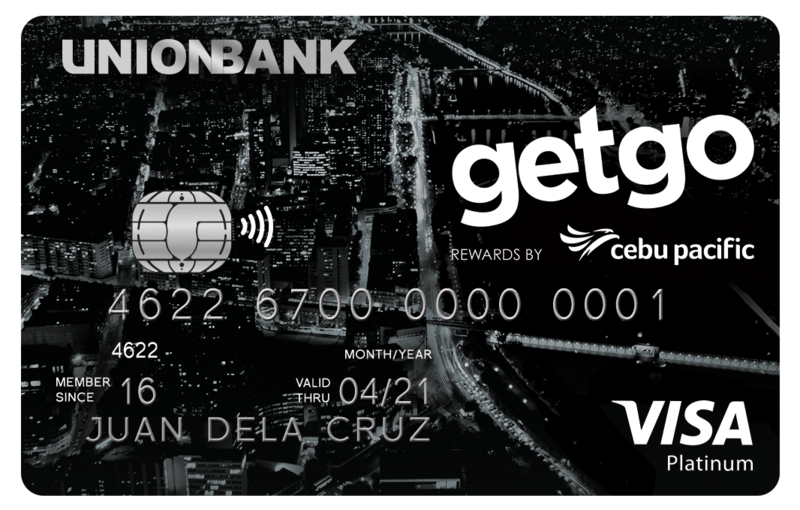 More information on memberships and partnerships are available at www.getgo.com.ph. To get updates on the latest promo, follow GetGoPH’s official pages on Facebook, Twitter, and Instagram. Thanks for the enlightening post, Ivan. This is the first time I am hearing about GetGo and those deals sound great! You couldn't have chosen better offers! Welcome, Lydia! Thank you also for dropping by!